God said to Moses, What is in your hand?" And he responded, "Just a staff." 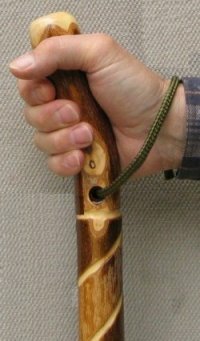 You walking stick is to be a powerful reminder of the TRUTHS of God's Word, and the FAITHFULNESS and AUTHORITY of our Lord and Savior Jesus Christ. Now take your personal walking stick and imprint on it any of these truths. Get it as a PDF document here.